I can tell I'm turning old. How, you ask? It seems like more and more things bother me all the time. The other day, I was handed my change and I looked at the $5 bill and I couldn't help but think, "Boy our money has gotten ugly." It may be the awkward way Lincoln has his neck cricked or the giant purple 5 on the back that bothers me. Maybe it's the gaseous cloud of yellow "05"s, but something's not right. I don't think I'm alone in this belief, but in case you're not convinced. 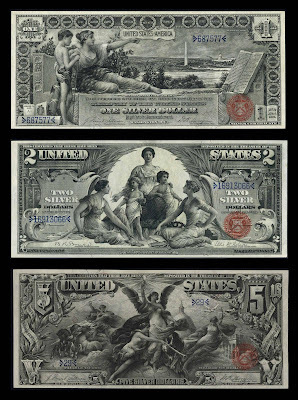 I'm going to post what I believe is some of our prettiest money from the past, the Educational Series of 1896. 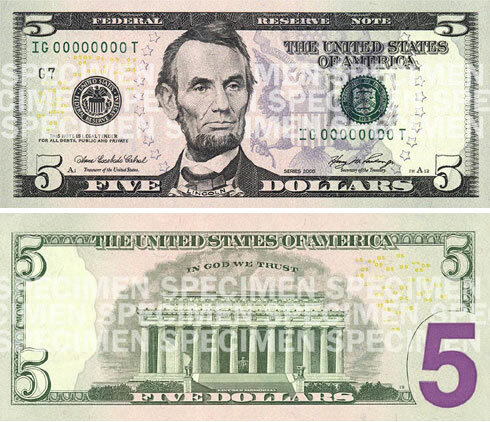 There is the $1, "History Instructing Youth," with the open Constitution pointing towards the Washington Monument and the Capitol, the $2, "Science Presenting Steam and Electricity to Commerce and Manufacturing," and the $5, "Electricity as the Dominant Force in the World." Click on the image below for a good look. There is more creativity and patriotism in the older money. 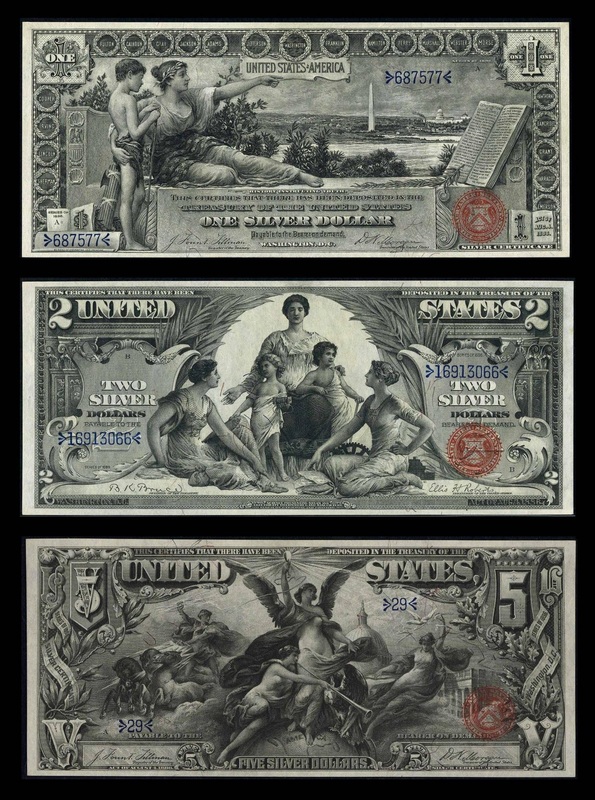 Very nice photos of the old bills (silver certificates!...another story). Thanks Nate. It'd sure be nice if getting bugged by stuff more often were the only way I could tell I'm getting older. Those old bills are beautiful!!! Look at all the Women on the money also! If you understand numismatics and you want to know the value of your coins valued and then you can help this website http://violity.net/ . I had long since they use and it helps me a lot.